Beatles FAQ: Why did the Beatles stop performing live? 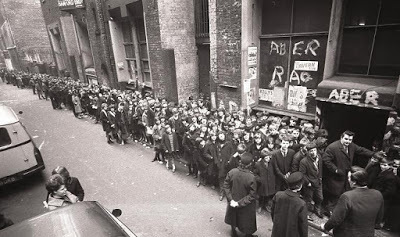 The unprecedented demand for Beatles' concert tickets meant that promoters arranged the biggest venues available. In most cities the only auditoriums physically capable of accommodating tens of thousands of fans were sports stadiums. Unfortunately, this created major sound problems as amplification technology was not yet ready to fill these vast spaces. In many cases the (distorted) sound came through the stadium's PA system and was a sonic mess. It was also incapable of competing with the incessant screaming. "We couldn’t hear ourselves when we were live, as there was so much screaming going on." One option might have been to have played at least some smaller gigs - this is what Paul McCartney did with Wings a decade later. 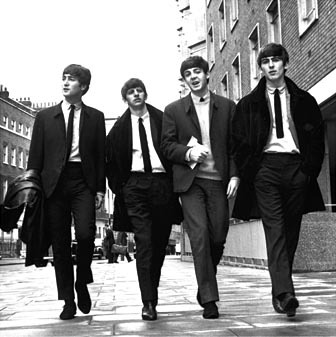 By 1963, however, The Beatles were trapped by the scale of their success. A return to the Cavern in August proved that it was no impossible to return to intimacy of their club-playing days. By 1966 The Beatles had endured nearly three years of relentless Beatlemania. Elation at their initial success had soured as they faced night after night of screaming 'I Want to Hold Your Hand' over the screams of teenage fans. Increasing, playing live became a chore rather than a challenge. Little thought was given to preparation and they hated rehearsing ('we were grown men!' as Lennon would grandly complain later). The Beatles became increasingly self-conscious about their sloppy playing - aware that their famous performance on the Ed Sullivan was pretty dreadful, for example. They knew they were a pale shadow of the live band that had thrilled audiences at the Star Club and the Cavern. They also knew, however, that most of the girls who attended their concerts were not there for the musicianship. There was little incentive for them to put in the work necessary to improve. The Beatles first came to the US came four months after the Kennedy assassination. From the outset they were uneasy about threats to their safety and the 'bigger than Jesus' controversy made touring the US increasingly tense. Live concerts were potentially dangerous as security was often chaotic. A particularly unpleasant experience in the Philippines heightened this sense of vulnerability. On August 29 1966, The Beatles played the last concert of their US tour - it would prove to be their last ever scheduled concert. buy online live Concerts ticketswith no service charge or fees.